ST. ALPHONSUS was born of noble parents, near Naples, in 1696. His spiritual training was intrusted to the Fathers of the Oratory in that city, and from his boyhood Alphonsus was known as a most devout Brother of the Little Oratory. At the early age of sixteen he was made doctor in law, and he threw himself into this career with ardor and success. A mistake, by which he lost an important cause, showed him the vanity of human fame, and determined him to labor only for the glory of God. He entered the priesthood, devoting himself to. the most neglected souls; and to carry on this work he founded later the missionary Congregation of the Most Holy Redeemer. At the age of sixty-six he became Bishop of St. Agatha, and undertook the reform of his diocese with the zeal of a Saint. He made a vow never to lose time, and, though his life was spent in prayer and work, he composed a vast number of books, filled with such science, unction, and wisdom that he has been declared one of the Doctors of the Church. 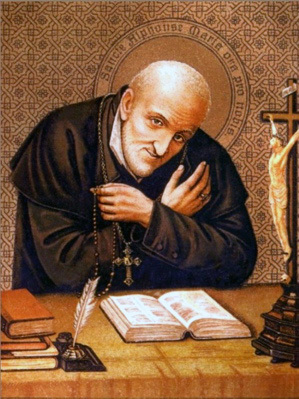 St. Alphonsus wrote his first book at the age of forty-nine, and in his eighty-third year had published about sixty volumes, when his director forbade him to write more. Very many of these books were written in the half-hours snatched from his labors as missionary, religious superior, and Bishop, or in the midst of continual bodily and mental sufferings. With his left hand he would hold a piece of marble against his aching head while his right hand wrote. Yet he counted no time wasted which was spent in charity. He did not refuse to hold a long correspondence with a simple soldier who asked his advice, or to play the harpsichord while he taught his novices to sing spiritual canticles. He lived in evil times, and met with many persecutions and disappointments. 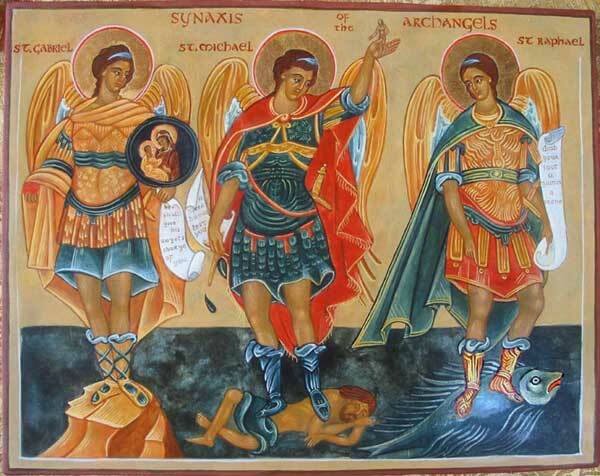 For his last seven years he was prevented by constant sickness from offering the Adorable Sacrifice; but he received Holy Communion daily, and his love for Jesus Christ and his trust in Mary’s prayers sustained him to the end. He died in 1787, in his ninety-first year. Reflection.—Let us do with all our heart the duty of each day, leaving the result to God, as well as the care of the future.